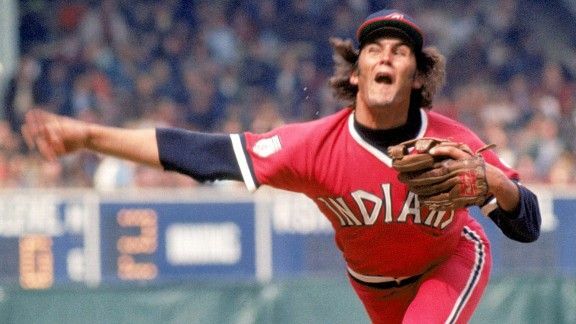 Editor's note: Since the original White Sox jerseys of 1976-81 -- which are the now-infamous throwback unis that Chris Sale objected to on Saturday night -- are among the list, we once again would like to share Jim Caple's rundown of some of the worst uniforms in MLB history. Some fans no doubt are insulted, offended and angry that we seeded their teams’ uniforms so low or that the jerseys they proudly wear or display on their wall were eliminated from our bracket quicker than a spouse would toss them from the closet. Most uniforms look good these days, so a low seeding does not mean they are ugly, just that they aren’t quite as sharp and good looking as some others. 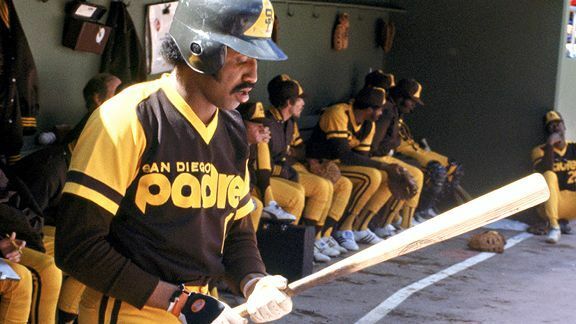 I mean, it’s not like any of today’s uniforms compare with these, the 10 worst of all time. 10. 1916 NY Giants: There have been plenty of bad uniform ideas over the decades -- yes, the scrambled eggs on the bill of the 1969 Seattle Pilots caps -- but this design was simply inexplicable. The 1916 Giants actually wore plaid uniforms. Yes, I swear to God -- plaid uniforms! At home and on the road! 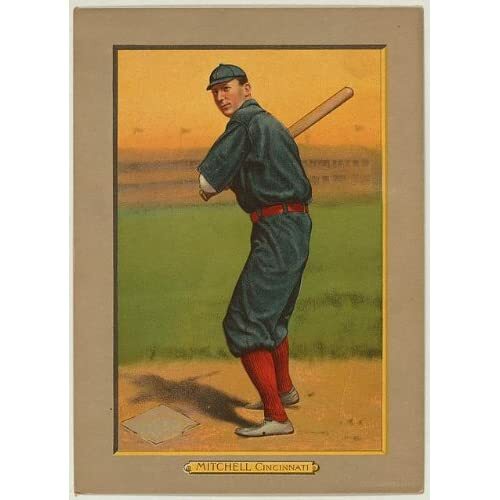 Christy Mathewson must have been sooooo relieved when they traded him to Cincinnati that summer. 9. 1972-75 Braves: Some people say that Barry Bonds’ career home run record is tainted by his likely steroid use. 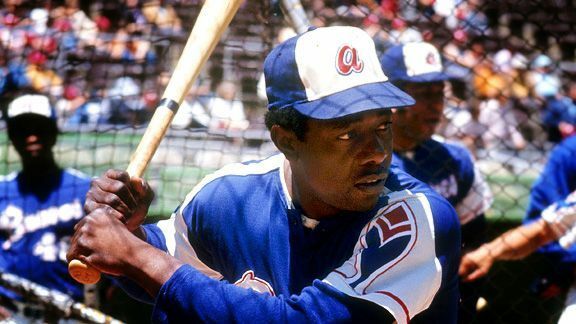 I say Hank Aaron’s previous record was tainted by his hitting home runs 640-733 while wearing these embarrassments to the national pastime. 8. 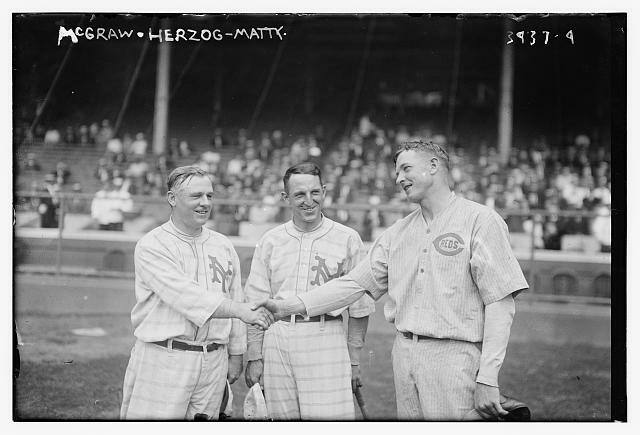 1909-13 Reds: The 1970s get blamed for the travesty of the solid-color uniform. Sorry. The Reds were decades ahead of their time with all blue uniforms. It was the worst fashion statement to come out of Cincinnati until Pete Rose’s hair. 7. 1975-86 Astros: The 2013 Astros may strike out 10 times a game and set the all-time record for losses. But at least they won’t be wearing these old embarrassing uniforms. 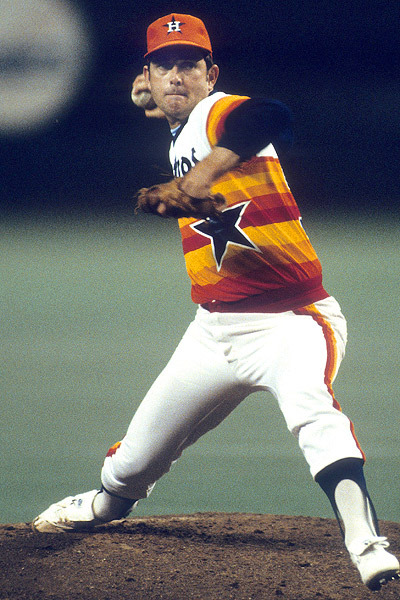 Rainbow jerseys were perhaps the only thing that could make even Nolan Ryan in his prime look silly. 6. 1982-86 White Sox: The White Sox theme during this period was "Winning Ugly." It was meant as a commentary on their style of play, but I always assumed it was due to the hideous uniforms with the block letter SOX across the chest and the numbers on the pants. 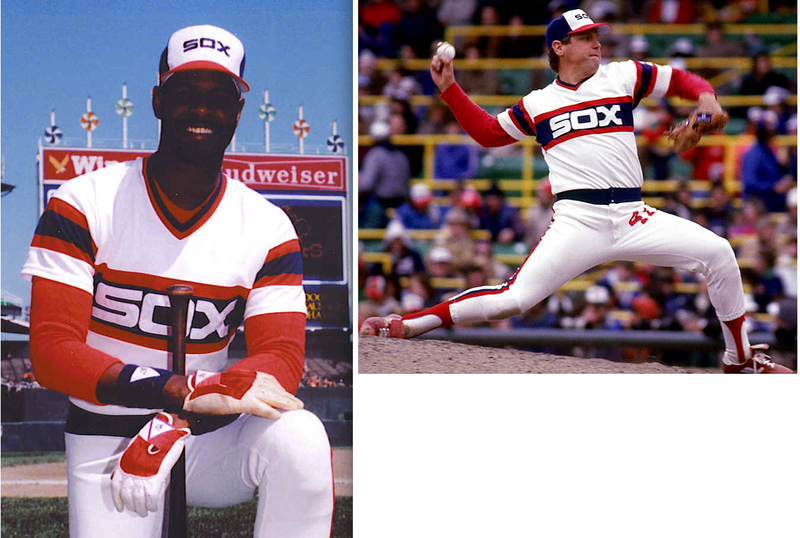 The sad thing is these were not the worst uniforms the White Sox ever wore. 5. 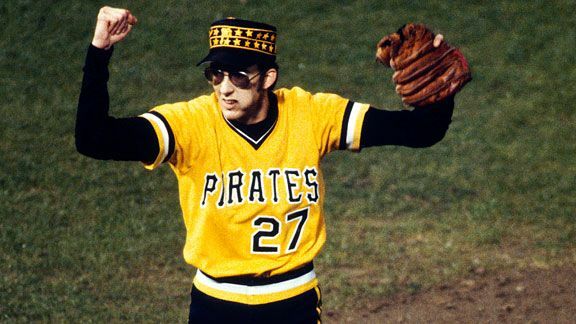 1977-84 Pirates: The Pirates theme song in those days was "We Are Family." Maybe. But if so, what mother would allow her children to go out dressed like this? 4. 1976-81 White Sox: These uniforms were based in part on the style worn by the Sox in the teens. But somehow, those original uniforms seemed to fit in as part of that era’s style. The updated unis just looked bad. Or perhaps that was because they were worn by Greg Luzinski. 3. 1972-74 Padres: Only a man who ran a fast-food hamburger empire could approve this design for his employees. All yellow tops and pants with brown sleeves and socks? A uniform couldn’t possibly get any uglier. 2. 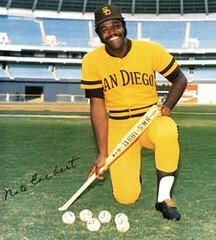 1976-84 Padres: I take that back. 1. 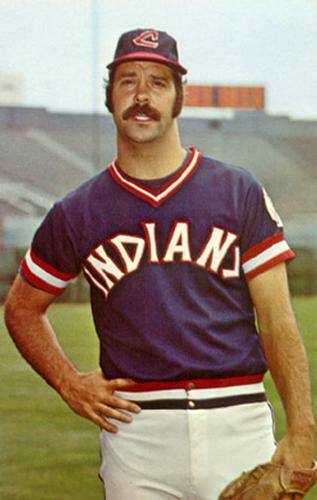 1974-77 Cleveland: The home uniforms -- blue softball jersey -- were bad enough. But the all-red road uniforms made the leisure suit look good. Not even George Clooney would have looked stylish in these -- so what chance did Boog Powell, Jim Bibby and Duane Kuiper stand? Oh, well. At least there was no Chief Wahoo.